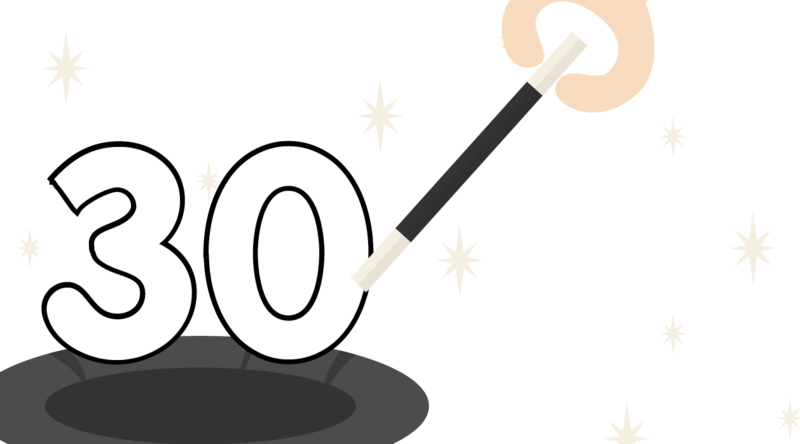 You are at:Home»Billing & Payments»Project 30: the magic number? This year is the 30th anniversary of Phonepay Plus. Of course, it wasn’t called that when it started and it won’t be called Phonepay Plus for much longer, but it has been regulating PRS in the UK for three decades. But its not just its name that is in flux: its very role and approach to how it regulates the industry is also changing. Project 30 – named for the 30th anniversary of the organisation – sees PPP attempting something that the industry has been wanting for many years: fairness of regulation. The changes (see below) are out there and make a lot of sense, but the real issue what has motivated it and why now. And this is the crux of what is going on. As we report on page 11, Phonepay Plus’s own research shows that carrier billing is on the rise, but standard premium voice services are declining. The answer is to make carrier billing more popular, but to do that Phonepay Plus and the industry have to take the heat off some of the services that produce large numbers of complaints. Carriers have put the brakes on carrier billing ever since it tried to roll out Payforit 4.0 more widely. A lot of subscription services and competitions leaped on it and the complaints flowed. To make it work, something had to give. The answer has been for PPP to look at how to segregate types of services into standard risk, low risk and high risk in an attempt to make regulation easier. No one is saying it, but basically if you are a big well known brand, you’ll have to jump through fewer (or even no) hoops to get your carrier billed service up and running than, say, if you are an adult service provider or running competitions. This has also spilled over into Project Slimline among the MNOs – see page 14 – who are adopting a similar low, standard and high risk approach to applying their own carrier billing rules, to again encourage brands to get in to using it. But there is nothing new in this. Network operators have already given ground to the likes of Google to run carrier billing paid for services. This just formalises the process. This view is echoed by the telemedia industry. “I am cautiously optimistic, but could be the last roll of the dice for carrier billing,” says Kevin Dawson, sales director at Oxygen 8. “It could well be just a move to kill competitions once and for all rather than ‘saving PRS’ and there has been a distinct lack of any real information,” he says. One area that many are concerned with is that there is no clear outline as to how of whom will be assessing what is a high, standard or low risk service and how it will be regulated. But does this matter? Carrier billing has great potential to open up mobile commerce to millions of people. It should be up there with all the other types of content billing that people use and this move could see that happen. Less onerous regulation of it for some mainstream brands is just what it needs to get it there. That said, the likes of Oxygen 8 and others are seeking to make more from mobile payments via the e-money licence route and compete with the likes of Apple Pay and Google Pay. Project 30 is a positive move and one that could see PPP deliver on its pledge to aid innovation and development rather than just be punitive and it will be interesting to see how things pan out in early 2017 when we start to see it in practice. What is in the Project 30 box? So what is Project 30 proposing? Well there are many things that cover everything from how regulation is applied and how that feeds through to how Payforit is used to looking at PPP’s own culture and image. But the things that really concern the industry are around changes to regulation and the special conditions. “Our regulatory framework workstream is looking at what we could improve to best support innovation and growth without diminishing consumer protection,” says Jo Prowse, CEO of PPP. Joint monitoring to better join up the intelligence available to both the regulator and the industry. On the special conditions, PPP is proposing additional regulatory requirements, in the form of Special conditions, for online competition and adult services. It is quite possible for a consumer to provide unintentional consent to an online competition or online adult service. Opt in and opt out mechanisms are insufficiently robust or transparent from a consumer perspective.